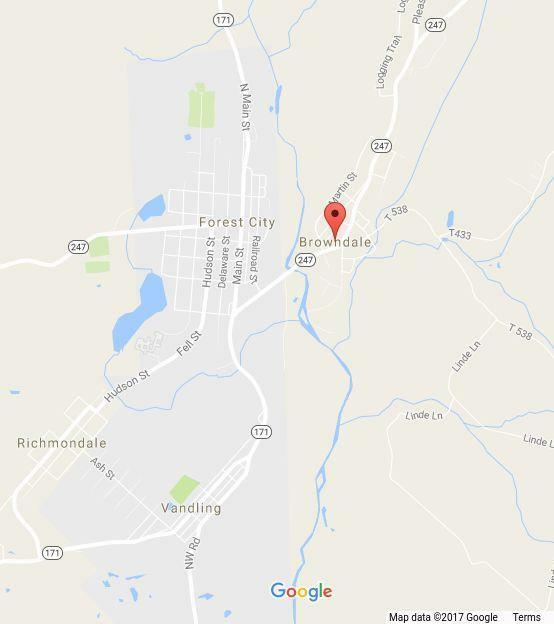 The village of Browndale, Pennsylvania (also called Forest City Station) has an estimated population of 884 and lies approximately a half mile outside of Forest City, PA. It is in Clinton Township and is part of the Forest City School District. The median household income in Browndale, Pennsylvania is $38,482. The median household income for the surrounding county is $46,815 compared to the national median of $53,046.The median age of people living in Browndale is 47.7 years.